There is now a practically universal consensus that our climate is changing rapidly, and as a direct result of human activities. While there is extensive debate about what we can do to mitigate the damage we are causing, it is becoming increasingly clear that a large part of our resources will have to be directed towards adapting to new climatic conditions, with talk of survivability replacing sustainability as the new and most pressing priority. Nowhere is this more evident than in the built environment â the stage on which our most important interactions with climatic conditions are played out. 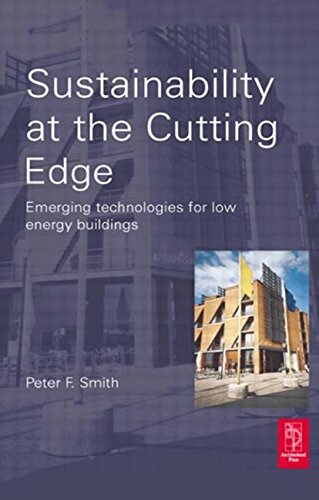 In this frank yet pervasively positive book, sustainable architecture guru Peter Smith lays out his vision of how things are likely to change, and what those concerned with the planning, design and construction of the places we live and work can and must do to avert the worst impacts. Beginning with the background to the science and discussion of the widely feared graver risks not addressed by the politically driven IPCC reports, he moves on to examine the challenges we will face and to propose practical responses based on real world experiences and case studies taking in flood and severe weather protection, energy efficient retrofitting, distributed power generation and the potential for affordable zero carbon homes. He ends with a wider discussion of options for future energy provision. This will be a provocative, persuasive andÂ â cruciallyÂ â practical read for anyone concerned with the measures we must take now to ensure a climate-proofed future for humanity. 9781844077359 | Routledge, January 30, 2010, cover price $85.00 | About this edition: There is now a practically universal consensus that our climate is changing rapidly, and as a direct result of human activities. 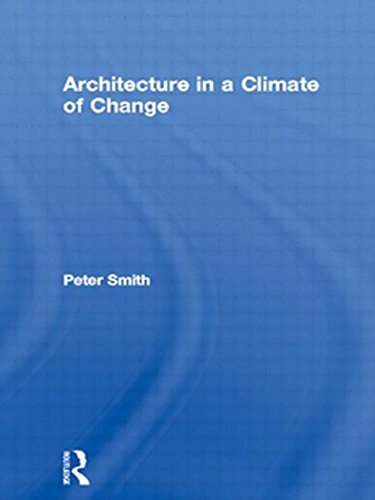 9781138135598 | Reprint edition (Routledge, January 29, 2016), cover price $165.00 | About this edition: Revised to incorporate and reflect changes and advances since it was first published the new edition of Architecture in a Climate of Change provides the latest basic principals of sustainability and the future of sustainable technology. Product Description: This book was first published in 1977. 9780415418386 | Routledge, April 3, 2007, cover price $230.00 | About this edition: This book was first published in 1977. 9780415853552 | Routledge, April 11, 2013, cover price $48.95 | About this edition: This book was first published in 1977. 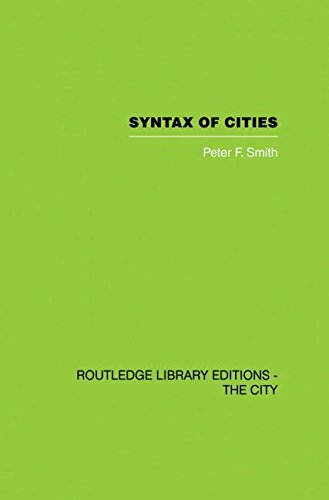 Product Description: Routledge Library Editions: The CityÂ reprints some of the most important works in urban studies published in the last century. For further information on this collection please email info.research@routledge.co.uk. 9780415417389 | Routledge, February 28, 2007, cover price $230.00 | About this edition: Routledge Library Editions: The CityÂ reprints some of the most important works in urban studies published in the last century. 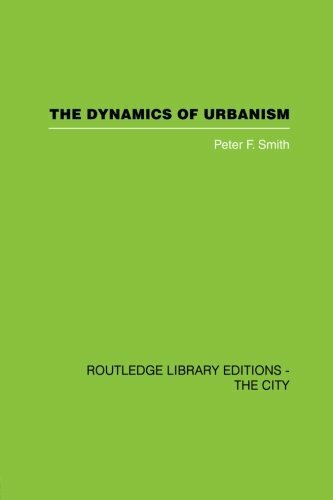 9780415611459, titled "The Dynamics of Urbanism" | 1 edition (Routledge, December 7, 2010), cover price $54.95 | About this edition: Routledge Library Editions: The CityÂ reprints some of the most important works in urban studies published in the last century. This second volume in the Technologies of Architecture seriesÂ â the only series of books tuned to the architectural technology syllabusÂ â explores the environmental influences on building design. Looking particularly at sustainable building, a holistic view is taken, so that the influence of any one set of choices on other areas â such as the trade-off of daylighting against thermal insulation, or the balance needed between heating and ventilation â are not overlooked. The authors discuss available technologies for establishing a suitable microclimate within buildings, for managing the transmission of sound and for minimizing the exploitation of scarce energy and of other resources. 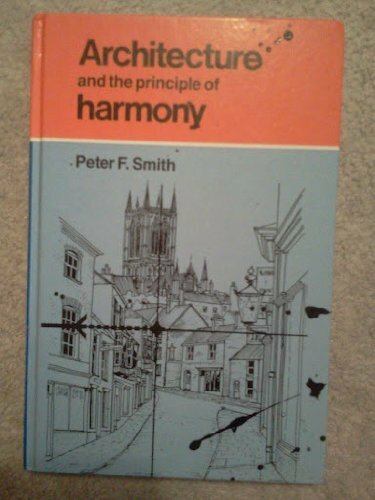 Using the perspective of a designer who needs a sound scientific basis for arriving at the optimum outcome, this valuably informative volume is ideal for architectural technology students, as well as first and second year architecture students. 9780415403795 | Taylor & Francis, July 17, 2009, cover price $49.95 | About this edition: This second volume in the Technologies of Architecture seriesÂ â the only series of books tuned to the architectural technology syllabusÂ â explores the environmental influences on building design. 9780415462594 | Routledge, April 26, 2007, cover price $2175.00 | About this edition: Routledge Library Editions: The CityÂ reprints some of the most important works in urban studies published in the last century. 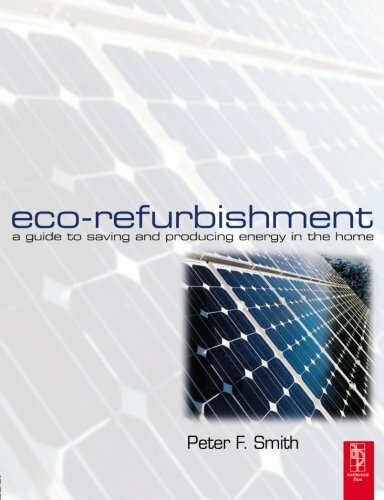 9780750659734 | Routledge, November 6, 2003, cover price $68.95 | About this edition: This clear and accessible guide provides a comprehensive outline on how to convert your house into a more 'green' home. 9780415300094 | Routledge, October 1, 2003, cover price $180.00 | About this edition: Rounding off decades of exploration into the various ways in which buildings and urban sequences make an impact on the mind, The Dynamics of Delight emphasizes the qualitative aspects of form and space, providing designers with an analytical framework in which to evaluate projects on an aesthetic level. 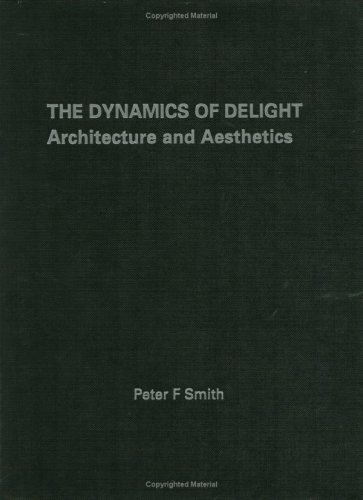 9780415300100, titled "Dynamics of Delight: Architecture and Aesthetics" | Routledge, September 1, 2003, cover price $73.95 | About this edition: Rounding off decades of exploration into the various ways in which buildings and urban sequences make an impact on the mind, The Dynamics of Delight emphasizes the qualitative aspects of form and space, providing designers with an analytical framework in which to evaluate projects on an aesthetic level. 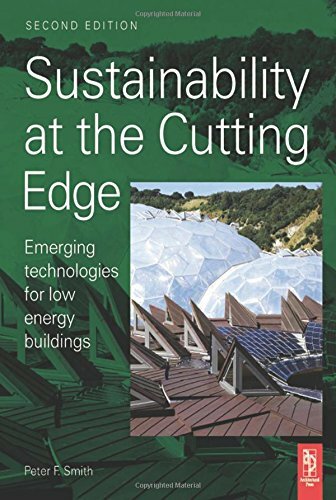 9780750683005 | 2 edition (Routledge, April 6, 2007), cover price $57.95 | About this edition: Sustainability at the Cutting Edge is an essential guide to understanding the future direction of sustainable technology. 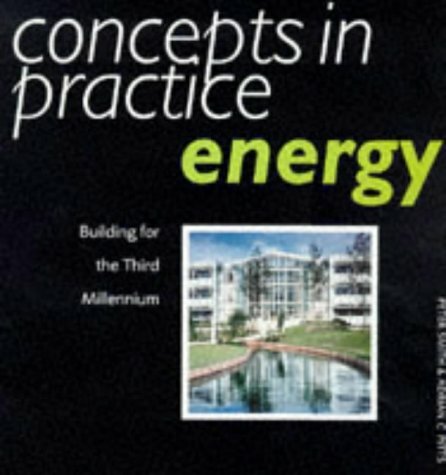 9780750656788 | Architectural Pr, November 1, 2002, cover price $41.95 | About this edition: This is your first point of reference in understanding the future direction of sustainable technology. 9780750653466 | Architectural Pr, July 1, 2001, cover price $28.95 | About this edition: Focusing on the recently introduced compulsory course element on sustainability in architecture, the book outlines all of the arguments and provides a comprehensive source of information. 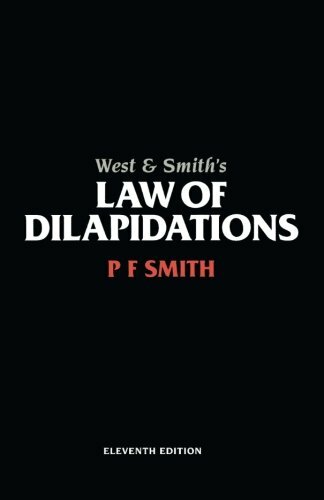 Discusses the legal principles governing dilapidated premises. This book examines the express implied and statutory repairing obligations of landlord and tenants. It looks at the remedies which are available to both parties to a lease if a repairing obligation is broken. It is useful for both professionals and students in the dilapidations field. 9780728203525 | 11 edition (Estates Gazette Ltd, May 13, 2001), cover price $57.95 | About this edition: Discusses the legal principles governing dilapidated premises. 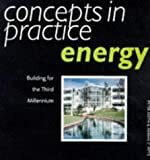 9780713478754 | B T Batsford Ltd, October 1, 1998, cover price $39.95 | About this edition: An examination of how existing buildings can be made more energy efficient, with a step-by-step approach to energy-saving measures.